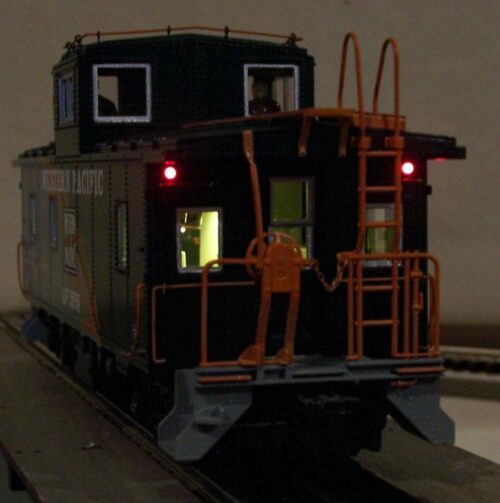 This kit is an adaptation of the standard caboose LED kit. It adds the Ngineering EOT as reassembled with LED and connection to the standard kit. The EOT Simulation module & LED is sold separately elsewhere on this site. The EOT operation is a very close approximation to the standard one used on real railroads. 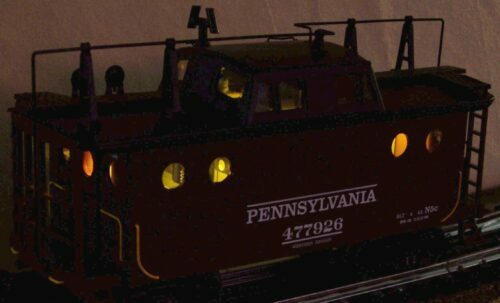 If your caboose already has a LED in place, you can attach this kit directly to it, instead of the supplied red LED. Short video of EOT simulator in action.